Fossil ankles show that Purgatorius, an early primate, lived in trees. Earliest Paleocene Purgatorius often is regarded as the geologically oldest primate, but it has been known only from fossilized dentitions since it was first described half a century ago. The dentition of Purgatorius is more primitive than those of all known living and fossil primates, leading some researchers to suggest that it lies near the ancestry of all other primates; however, others have questioned its affinities to primates or even to placental mammals. Here we report the first (to our knowledge) nondental remains (tarsal bones) attributed to Purgatorius from the same earliest Paleocene deposits that have yielded numerous fossil dentitions of this poorly known mammal. Three independent phylogenetic analyses that incorporate new data from these fossils support primate affinities of Purgatorius among euarchontan mammals (primates, treeshrews, and colugos). Astragali and calcanei attributed to Purgatorius indicate a mobile ankle typical of arboreal euarchontan mammals generally and of Paleocene and Eocene plesiadapiforms specifically and provide the earliest fossil evidence of arboreality in primates and other euarchontan mammals. Postcranial specializations for arboreality in the earliest primates likely played a key role in the evolutionary success of this mammalian radiation in the Paleocene. Earth's earliest primates have taken a step up in the world, now that researchers have gotten a good look at their ankles. 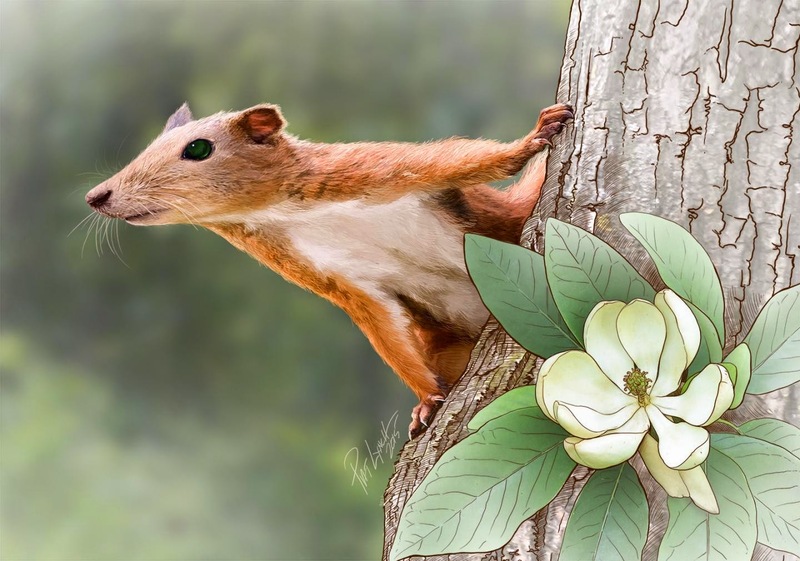 A new study has found that Purgatorius, a small mammal that lived on a diet of fruit and insects, was a tree dweller. Paleontologists made the discovery by analyzing 65-million-year-old ankle bones collected from sites in northeastern Montana.